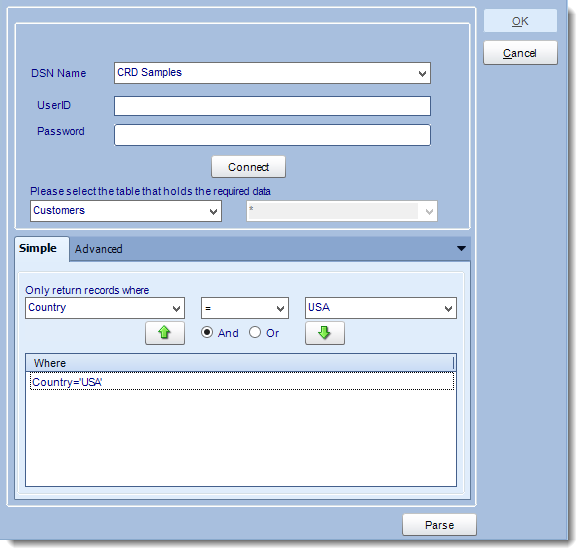 The "Get Values From Database" interface helps you to connect to and build queries to extract the information you need from a database. 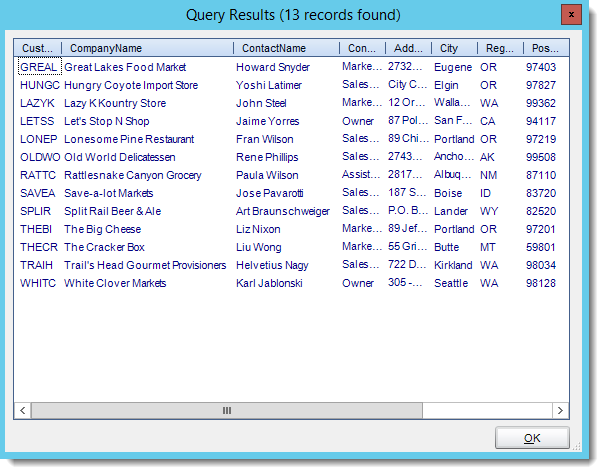 It is used in various parts of CRD where database information is needed. We strongly recommend System DSNs so that the DSN is visible to CRD even when the user associated with the DSN is logged off. When setting up DSNs we recommend (if possible) that you use Windows Authentication (Trusted Connection). This ensures that your username and password are not required to be stored in CRD (more secure) and overcomes a large number of security restrictions which Windows places on DSNs. When using Windows Authentication, make sure that the CRD NT Service user (or background application service user) has full rights to the database otherwise, though you will connect when you are logged in, automated scheduling will fail if the Service user has not got rights to the database. CRD will display a list of results. 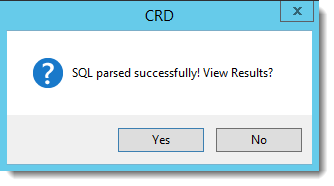 Based on your Criteria CRD will use the returned data to run the report.